"Like many, I have battled fear in life and work -- and found that the only effective antidote is to make a daily shift in my thinking from anxiety to anticipation. I wish I had met Molly Fletcher sooner -- to learn the small steps that overcome the demons and shift our focus to the anticipation of life's great adventure." CEO, Popeyes Louisiana Kitchen, Inc.
"Is fear holding you back from attaining cherished goals, drawing nearer to others, or being the best you can be? Molly Fletcher offers a guide to moving past your fear and trading habitual mindsets for new ways of thinking. This could be your year to be fearless at work -- and in life!" 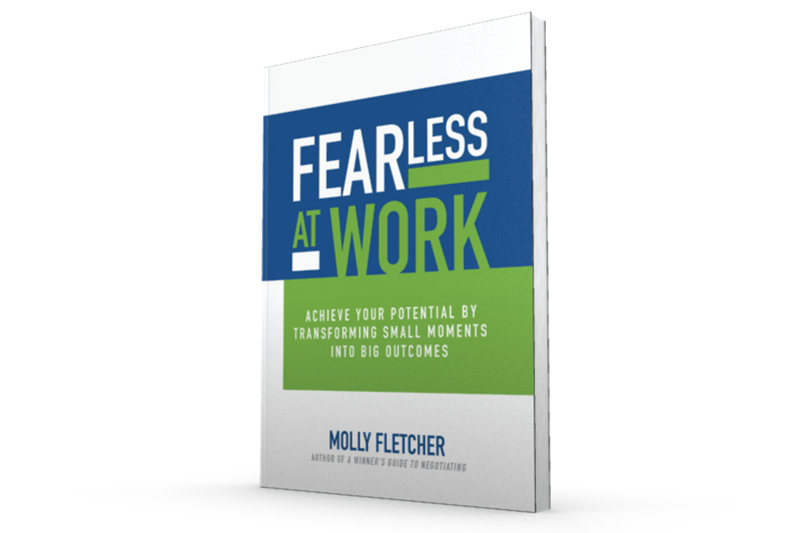 "Molly Fletcher provides a fearless road map to help you navigate the fears and pitfalls that too often sabotage our success. Filled with lessons from some of the best and brightest leaders, Fearless at Work teaches us how to re-frame our thinking and push through the fears that have been holding us back." "Fearless at Work is a must read. Molly Fletcher brings to life our choice: whether to live constrained by our fear or to push beyond them. This book will teach you how to shift toxic thinking and trade old habits for a new mindset." "Looking to make changes in your professional life? Fearless at Work is a book you will turn to again and again for life-changing advice." "If you're ready to turn your dreams into reality...then Fearless at Work is the perfect blueprint! Brava to Molly Fletcher, YOU are most definitely a Leader Worth Following!"